There is no better place to receive care than in the safe, comfortable, and familiar environment of one’s own home. 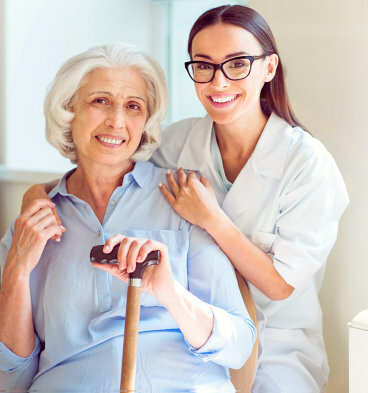 We would be more than happy to provide you and your family with quality in-home support and assistance through our wide range of care services. Being cared for in an environment that is safe and secure is all one could ever ask for. Your humble abode is the place where all love and inspiration begins. It is where you’re surrounded by people who love and support you. At home, you’re not only greeted by the sunrise but also the warm and happy faces of those dear to your heart. We, at Doorstep Procare Management LLC, want our clients to experience all of this and more. It is our duty to provide exceptional quality services with the help of our trusted and dedicated professionals who ensure the highest standard of care delivery at home. Call us for assistance today. Dial 972-289-2273 or send a message to procare@dpmhousecalls.com. We raise the bar for home health care with the complete range of services provided by our highly-trained and dedicated team of caregivers. Discussing the care needs of your loved ones is among our top priorities. You may call and schedule a meeting with our doctors at your preferred time. We have a mission to help your friends who are in need of quality home health care. Don’t hesitate to send them as your referrals for Doorstep Procare Management LLC today. Mission: To provide high-quality house call visits through compassionate care with the focus on patient healthcare needs and safety. Vision: To be the community's preferred house call provider of choice in delivering high-quality house call services. Need help? You’re more than welcome to get in touch with us through the information provided below.